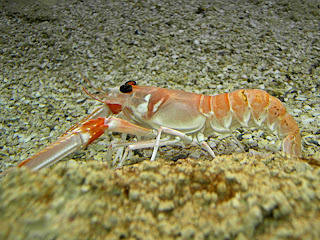 Animal Wildlife | Lobster | The lobster is a large crustacean and like the crab is similar to shrimp and prawns. 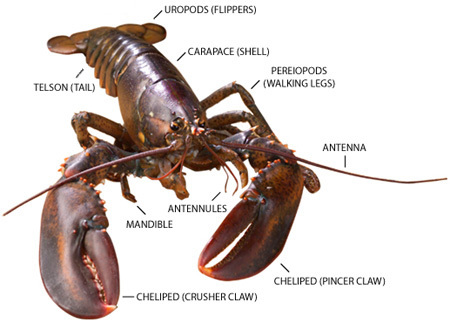 The lobster is one of the largest types of crustacean with some lobster species known to get to weigh over 20 kg. Lobsters live on rocky, sandy, or muddy bottoms close to the shoreline to beyond the edge of the continental shelf as the lobster prefers the shallower ocean water. 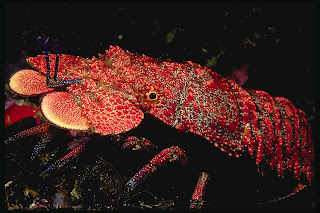 The lobster is generally found to live by itself, where the lobster hides in crevices and in burrows under rocks. Lobsters have been known to get to 100 years old, sometimes older and the lobster continues to grow in size throughout the lobsters life. It is this that allows some adult lobsters to grow to enormous sizes. 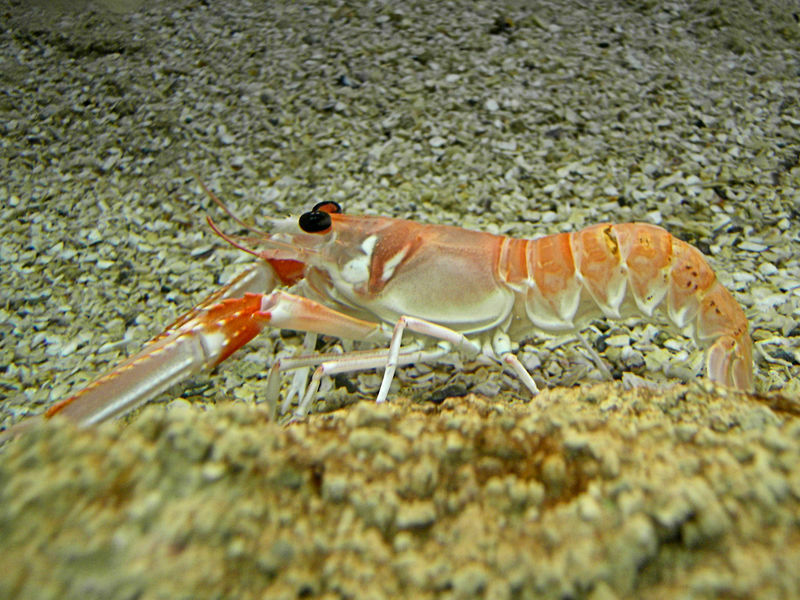 Lobsters tend to move slowly by walking along the bottom of the sea floor. However, when the lobster is in danger and the lobster needs to get away, the lobster is able to swim backwards quickly by curling and uncurling its abdomen. 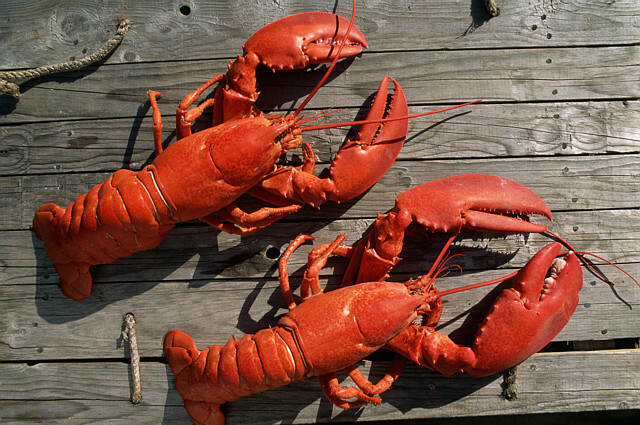 Lobsters come in a variety of colors including red, blue, green, purple, and yellow. Lobster has become one of the most luxurious types of seafood for humans throughout the world and the lobster population has therefore severely declined.